Our family and friends Network allows clients to share the benefits of the Netwealth service. As a client, you can invite up to seven additional family members or friends to your Network, allowing access to the service and driving fee benefits for everyone. Fees are calculated on the Total Invested Amount from all members of the Network and each individual can still pursue the financial goals that best suit their age and requirements. This is particularly powerful for families wanting to share investment benefits across generations. Wealth manager fee is 1.86% - source: Numis Securities, Citywire Wealth Manager, February 2015. Mary opens a Netwealth account with £250,000 paying an annual fee of 0.5% - already far lower than the average UK wealth manager’s charge. 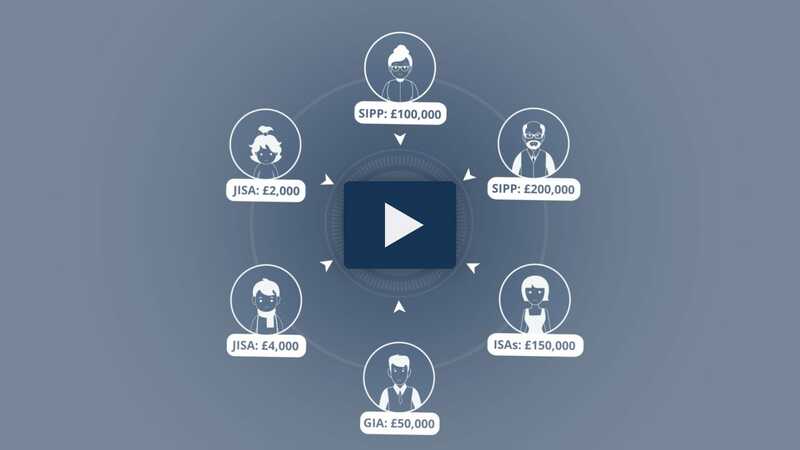 She can then invite others to join her network; for example, if her husband adds his ISA portfolio of £75,000 and a parent transfers their pension of £175,000, they will all benefit from the lowest fee rate of 0.35% since their total Network’s assets are £500,000. Mary’s son could also be added to the network, open an ISA for £5,000, gain full access to the Netwealth service and yet still pay the same 0.35% as the rest of the network. He could also continue to add to his savings from as little as £100 a month.